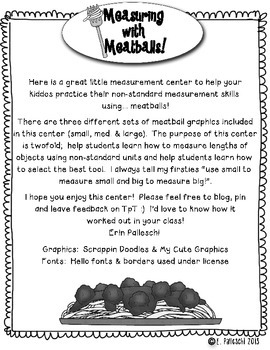 Here is a fun little math center to help your kiddos practice their non-standard measuring skills using...meatballs! 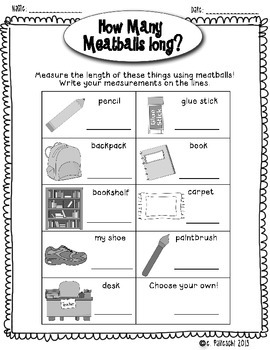 Students will use the recording sheet to measure REAL items found in most classrooms. 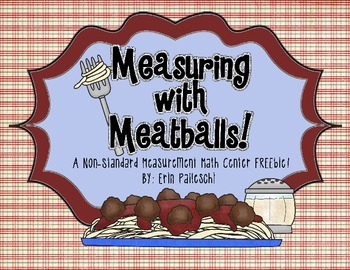 This freebie includes a student recording sheet plus 3 different sizes of meatballs. * Type this number: 755, if you are not a robot.